Read the texts about three different oil companies and do the exercises. 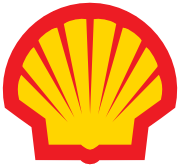 The Seven Sisters of the petroleum industry is a term coined by an Italian entrepreneur, Enrico Mattei, that refers to seven oil companies that dominated mid-20th century oil production, refinement, and distribution. 1. Standard Oil of New Jersey (Esso), which merged with Mobil to form ExxonMobil. 4. Standard Oil of New York (Socony). This later became Mobil, which merged with Exxon to form ExxonMobil. 5. Standard Oil of California (Socal), now Chevron. 6. Gulf Oil. Most of this became part of Chevron. 7. Texaco. Merged with Chevron in 2001. Texaco remains as a Chevron brand name.